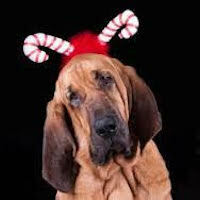 Seattle’s RainBank Rainwater Systems would like to thank our customers and partners for their support this past year. It has been our pleasure to be part of so many quality projects, residential and commercial, throughout the Pacific NorthWest. Closing this exciting year we have developed new approaches in design and expansion of our services. Always keeping with our progressive approach, we have gained new alliances within the industry so we may better serve our customers. 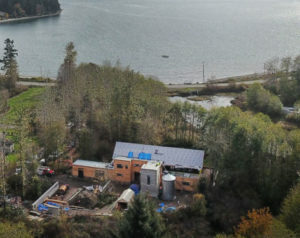 We are proud to have introduced competition in the steel water tank market, not only in Seattle but in eight Western States with our distributorship of Contain Water Systems Inc.
RainBank Rainwater Systems has become a Living Building Challenge certified designer/ builder of rainwater collection systems with the construction of Heron Hall, the home of Jason McLennan, CEO of the Living Building Challenge, and one of the world’s greenest homes. Our very own Chad Lindsly has volunteered to be a co -ARCSA NW regional representative; which means he will serve on a few ARCSA committees in 2017. We look forward to another great year in serving our customers and communities. Please don’t hesitate to contact us about your rainwater collection needs. Use the form below; we look forward to working with you in 2017. Nelson, Maggie and the rest of the RainBank Rainwater Systems team wish you season’s greetings for a Merry Christmas and a Happy New Year! President David Crawford starts off the 2016 American Rainwater Catchment Systems Associations (ARCSA) 2016 annual conference with a message of unity and moving forward with the advancement of rainwater collection. 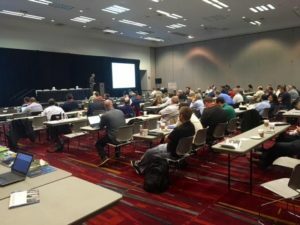 Seattle based RainBank Rainwater Systems seized the opportunity to remain up to date on the latest news, trends, and information on Rainwater Collection at the recent ARCSA (American Rainwater Catchment Systems Association) conference in Las Vegas. It has been a progressive year for ARCSA with the alignment of Texas Rainwater Catchment Association (TRCA) and American Rainwater Catchment Association (ARCSA). ARCSA became a 501C (6) and (3) nonprofit organization. The new 2016 ARCSA Rainwater Harvesting Manual now includes the ARCSA/ASPE/ ANSI 63 & 78 standards. The inclusion of CANARM, our neighbors to the North, enhances the ARCSA mission statement in promotion of Rainwater Collection. Our continued movement forward with the United Association of Plumbers only strengthens ARCSA as a viable trade organization, giving us a voice in future legislation. 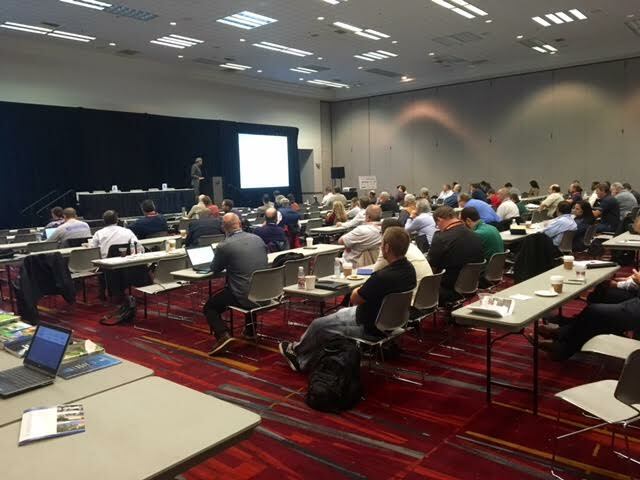 A number of quality speakers gave their time to inform and educate the membership on topics ranging in “Roofing Materials Assessments Updates”, by University of Washington’s Lisa Rozmyn; “Emerging Regulatory Trends in Rainwater Harvesting”, by Kevin Wong; “EPA WaterSense Professional Training”, by Pamela Berstler; and other topics. 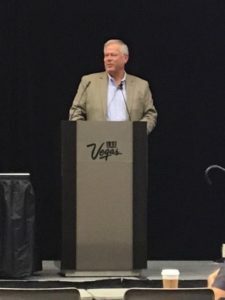 The discussion “Nevada Water Conservation”, by Doug Bennett should be a model of water conservation throughout the US and Canada. ARCSA has a membership of extraordinary professionals from all facets of water conservation, safety, and industry leaders. Conversation with peers in the industry promotes best practices, new technology, and standards for the rainwater collection professional in order to better serve customers. RainBank Rainwater Systems is committed to providing customers with the most up to date expertise in design, permitting and construction of potable and non potable rainwater collection systems. We encourage those in the industry to meet these challenges with continued education, evolvement, and knowledge of our industry and its practices. The mission of ARCSA Foundation is to promote sustainable rainwater harvesting practices to help solve potable. non potable, stormwater and energy challenges throughout the world. RainBank Rainwater Systems president Ken Blair is a lifetime ARCSA member, Accredited Professional, Systems Inspector and Pacific Coast Regional Representative. Contact RainBank’s team for a professional, proactive approach to rainwater collection.